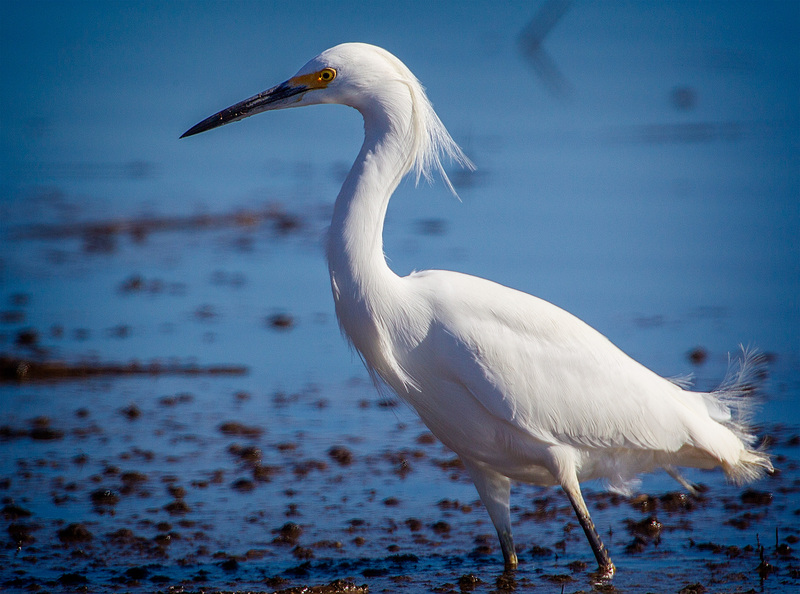 After seeing so many Egrets on our way to Santa Rosa, I was disappointed when I didn’t get a picture of a single one at Lake Ralphine or Spring Lake. I should have known that I’d get several pictures on the way home at the Colusa or Sacramento National Wildlife Refuges. 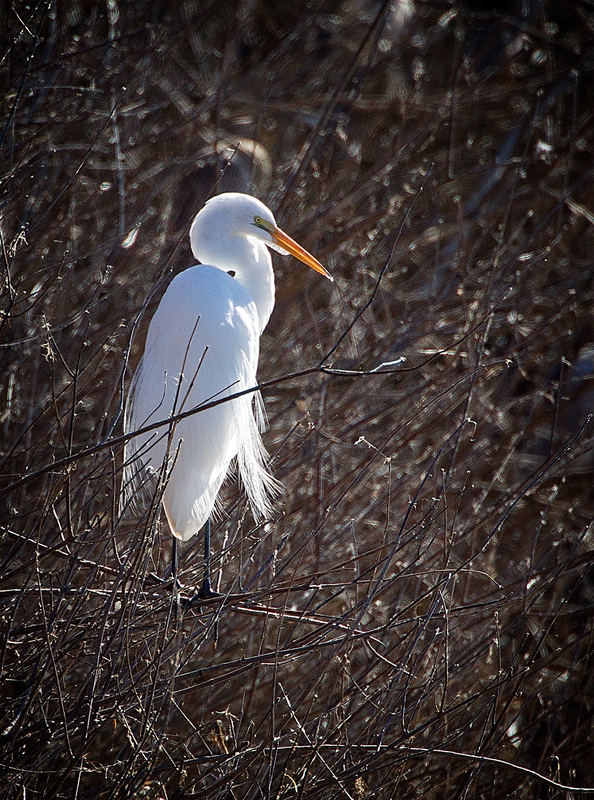 We didn’t have to wait long, either; this shot of a Great Egret was nearly the first of our shots. From a distance, and because it was standing in rather light shrubs, I assumed that it was a Snowy Egret, but a close look at the beak indicates reveals it’s definitely a Great Egret. 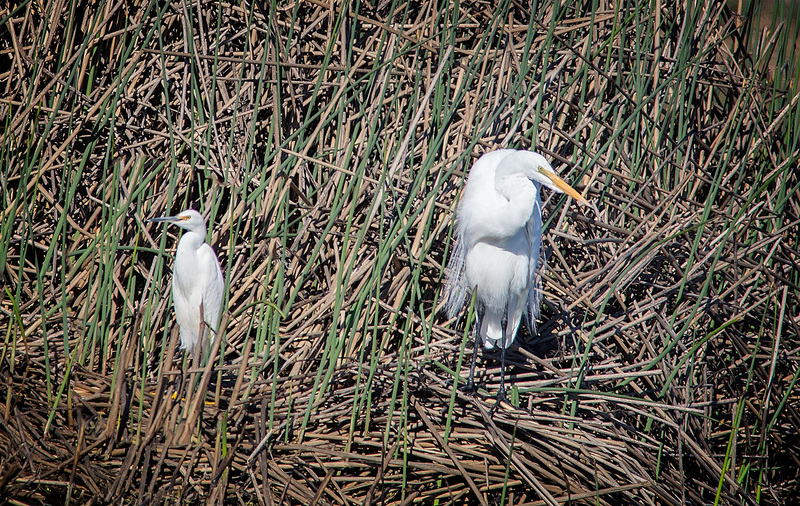 the Great Egret dwarfs the Snowy Egret. 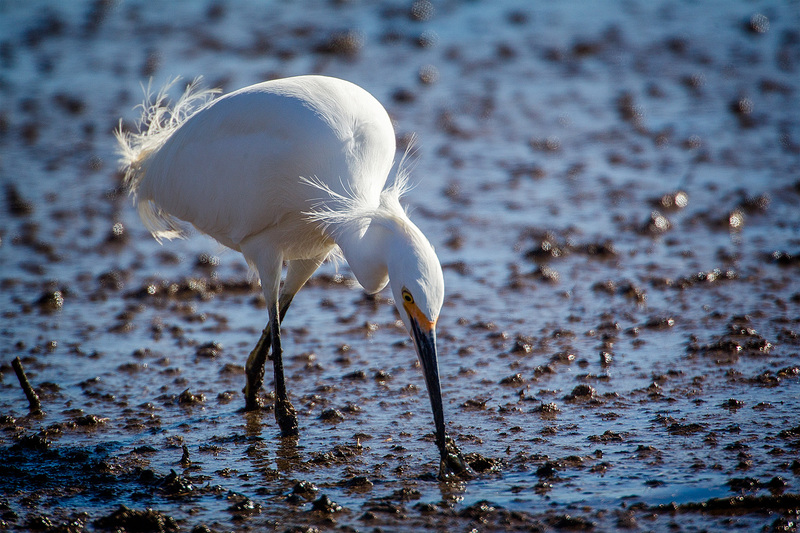 Although egrets are becoming more and more common in the Pacific Northwest, I still identify them with California, particularly the Snowy Egret, which is less common the further north you go. Compared to many birds, they’re a great photographic subject because they’re relatively indifferent to people and because, like the Great Blue Heron, they stay in one place, poised for the moment their prey exposes itself. As a result, I already have a number of excellent shots of both species. Luckily beauty like this is always striking, no matter how many times you have seen it.